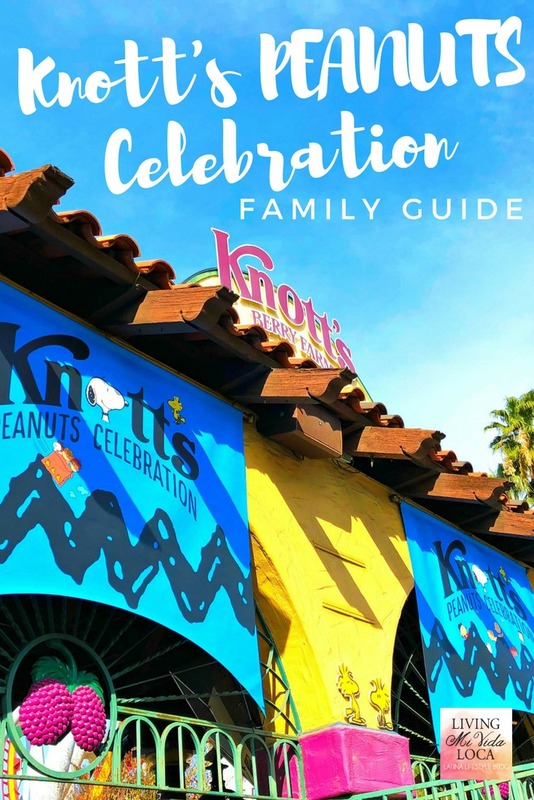 Update: In 2019, the Knott’s PEANUTS Celebration will take place weekends starting January 26 through March 10, 2019, plus Presidents’ Day, February 18. 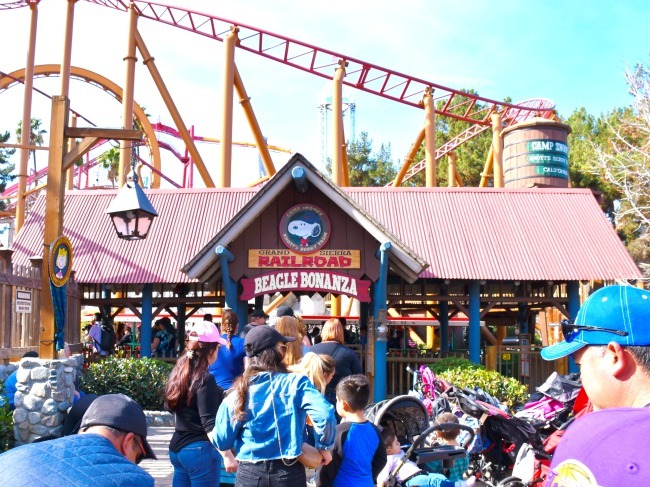 Admission is included with a regular park admission ticket or a 2019 Knott’s Season Pass. 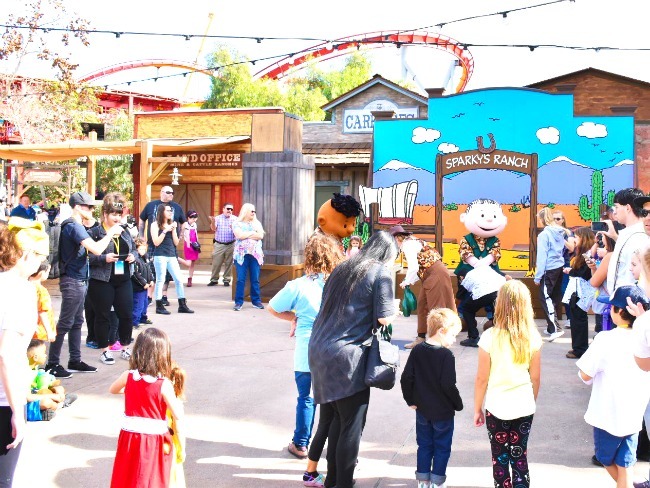 The Knott’s Peanuts Celebration is well under way at Knott’s Berry Farm! 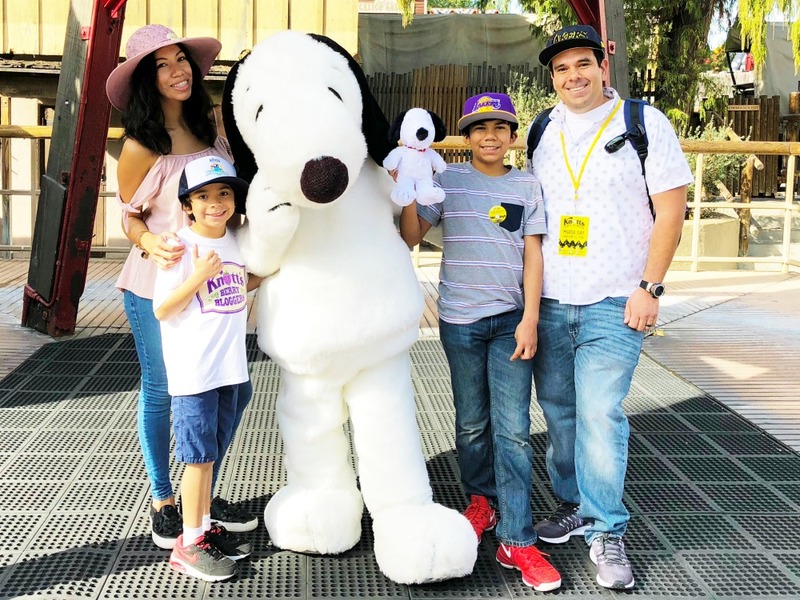 We had a blast on opening day as guests of Knott’s Berry Farm and put together this Knott’s PEANUTS Celebration Family Guide so that you won’t miss out on any of the fun! Better yet – we put it in chronological order so you can keep track of the day. 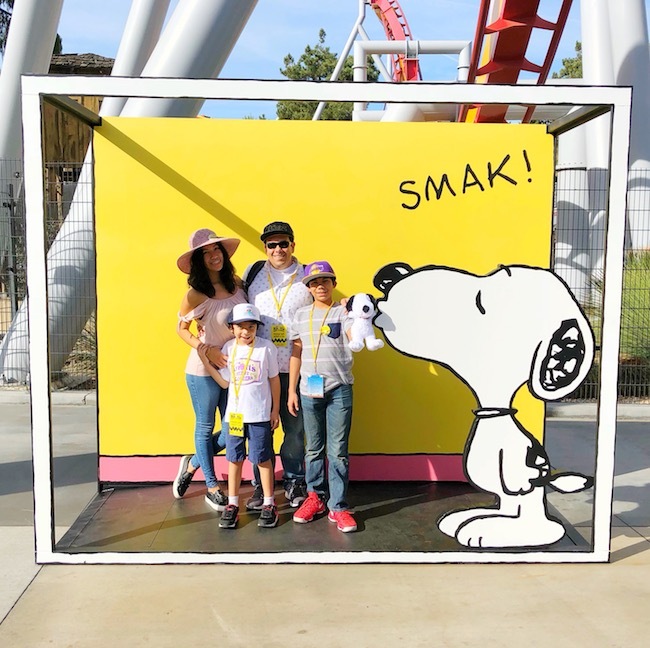 Follow this PEANUTS Celebration guide and your chiclets will be in the car and ready to head home by 7:30 p.m.
A family guide to Knott’s PEANUTS Celebration by Pattie Cordova on Living Mi Vida Loca. 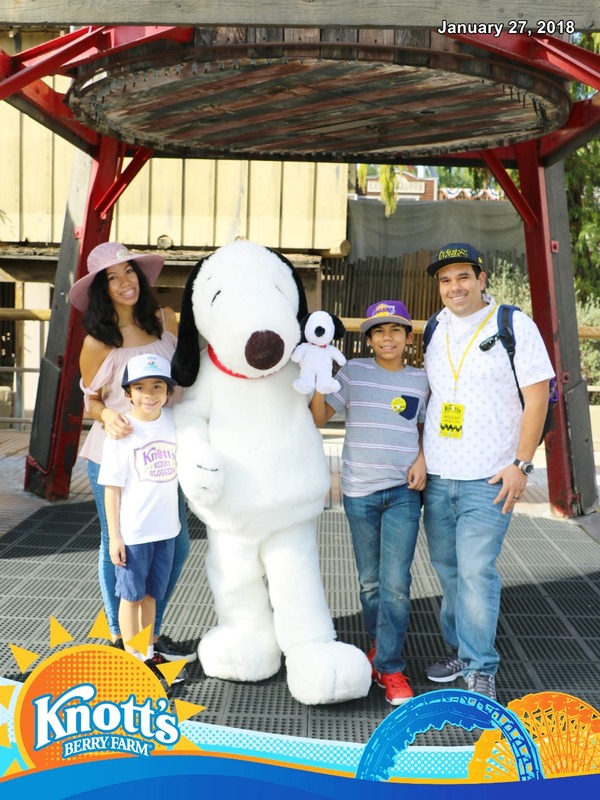 Our family was at Knott’s Berry Farm at 10 a.m. – as soon as the park opened we added the FunPix season pass to our Knott’s season passes and did every photo opp at the entrance. 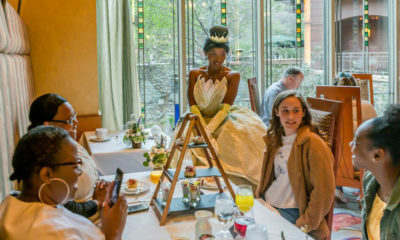 I absolutely LOVE being able to get the photographers to take our picture and have it show up on our FunPix account later in the day. 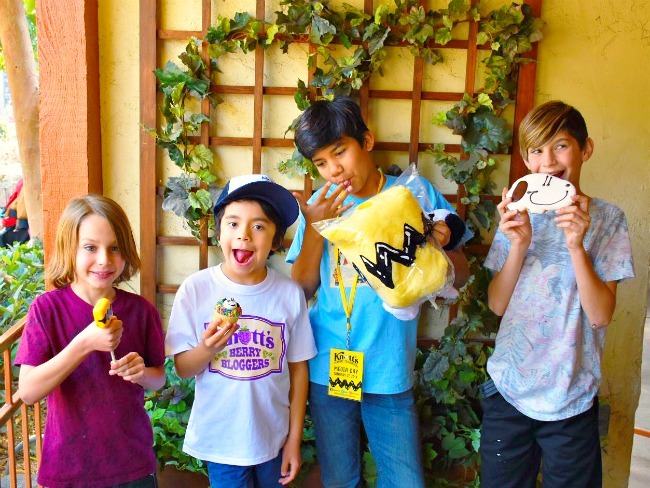 We have two chiclets, ages 10 and 6, and every Knott’s PEANUTS Celebration event was perfect for them. There were a ton of chiclets running around, dressed in cute PEANUTS-inspired outfits and soooo many stuffed PEANUTS characters. It was a blast!!! 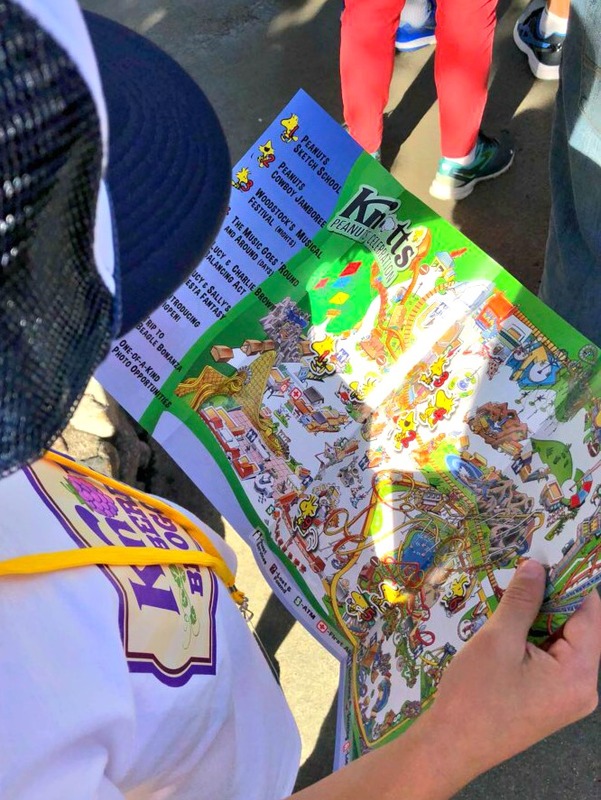 Make sure to pick up your Knott’s PEANUTS Celebration map at the gate to make it easier to get around OR get the Knott’s Berry Farm app!!! 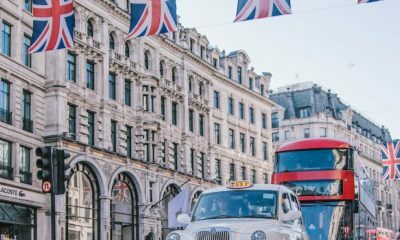 It’s FREE and has all the information you’ll need to make sure you get to where you need to go. This tutorial is about 15 minutes long. Make sure to get there on time because they do close the doors and you won’t be able to get in. Clipboards, paper and pencils are provided. The tutorial is led by a talented artist, and depending on which time you attend (there are multiple opportunities throughout the day), is what character you’ll be drawing. Don’t worry if your littlest aren’t drawing yet – the staff also provides coloring pages and crayons. I definitely recommend you get to Calico Park on time for this one because only a limited amount of chiclets will be able to participate in the games. The Knott’s staff brings out PEANUTS characters and then has the chiclets line up for the games. Again, games change depending on the time of the day. The staff leader will cut the line depending on how much time they have. We were there in the morning and about 15 chiclets got to play their bowling game. 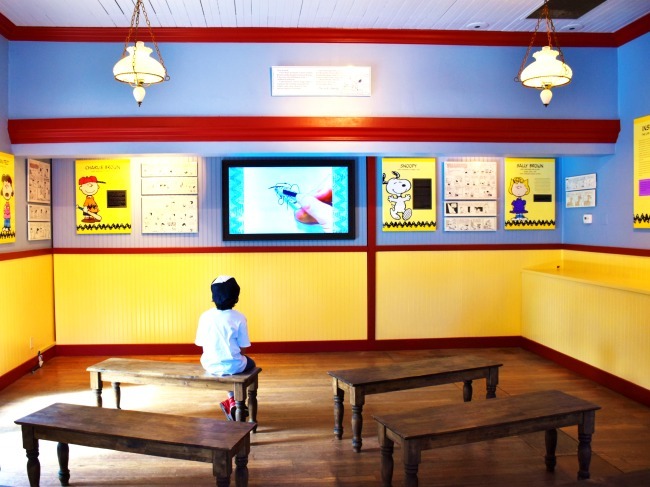 Visit “town hall” at Ghost Town and take a trip down memory lane to see how PEANUTS came to be. The museum chronicles Charles M. Schulz history with storyboards along the walls, a film on loop and plenty of seating to take it all in. This is also where you can find the cute Snoopy doghouse!!! A great photo opp. The Lucy & Charlie’s Balancing Act show is super popular, so if you’re wanting to get good seats – make sure you get there early! If you take my suggestion on where to eat, you’ll be super close to the Camp Snoopy Theatre. The show has a bit of dialogue at the beginning, but then the music kicks in and it’s a lot of fun. A bit of audience participation, but not too much. This new show has also proven to be popular. Get to the Calico Mine Stage early for this one. If your chiclets are hungry, this is also a good place to sit down and enjoy a snack. Seating is first come, first served, but the stage is big enough that you can even watch it standing up. 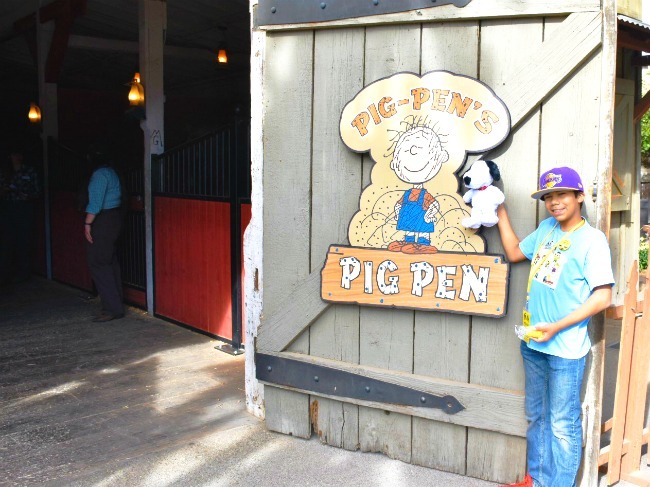 Pig Pen is only at Knott’s Berry Farm during this special event. Catch him intermittently throughout the day. My best advice? Hang out with the piglets, burro and horse until the character comes back. Then quickly get in line because he is super popular. 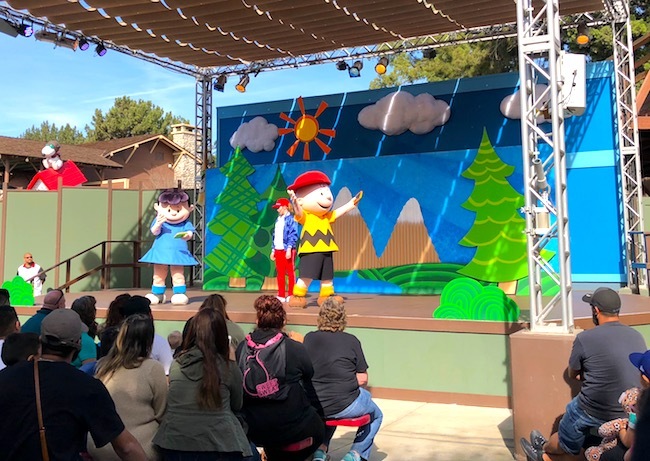 In Camp Snoopy, the Grand Sierra Railroad invites kids to celebrate with the PEANUTS Gang as they head to the Beagle Bonanza in this new ride overlay. 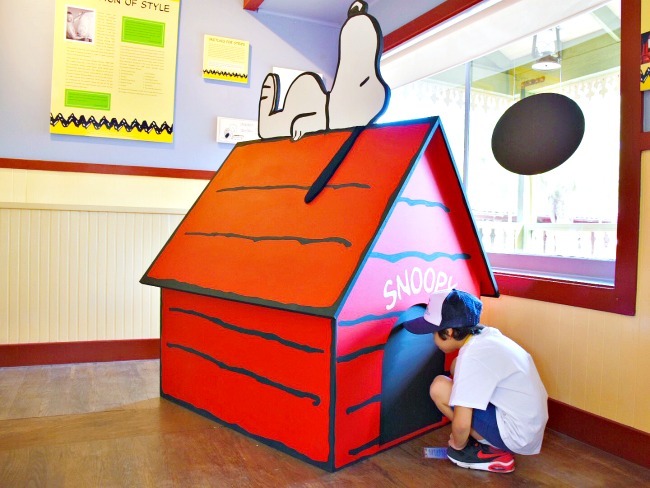 My absolute favorite addition to Camp Snoopy has been all the fun photo opps. Camp Snoopy has the best comic-book like settings (besides the ones at the front entrance). There are word bubbles throughout the area, a huge dinner table set up and lots of kites in trees. 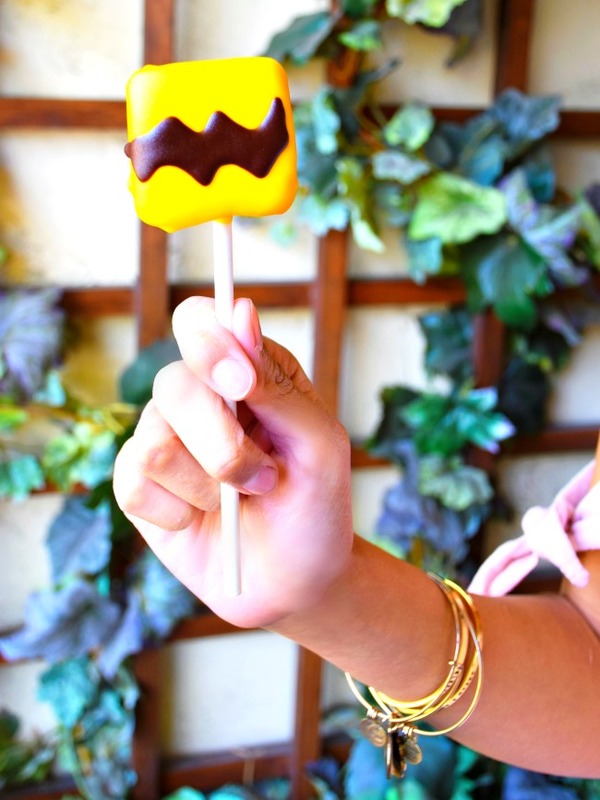 Have fun with them and the chiclets – and you can even get your partner in too! 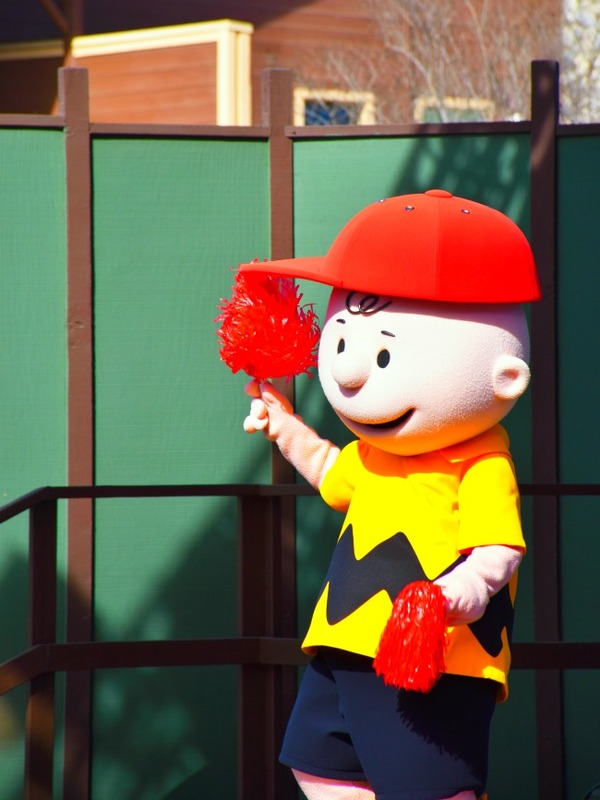 My favorite area in the park is also a part of the Knott’s PEANUTS Celebration!!! 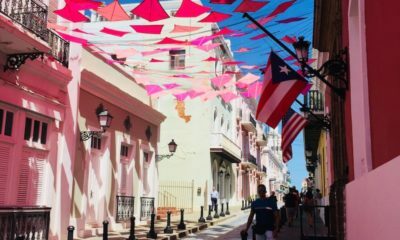 It’s here that you can see Lucy and Sally learning how to dance baile folklorico have taken a journey south of the border as they have been introduced to the colorful dancing of Mexico. 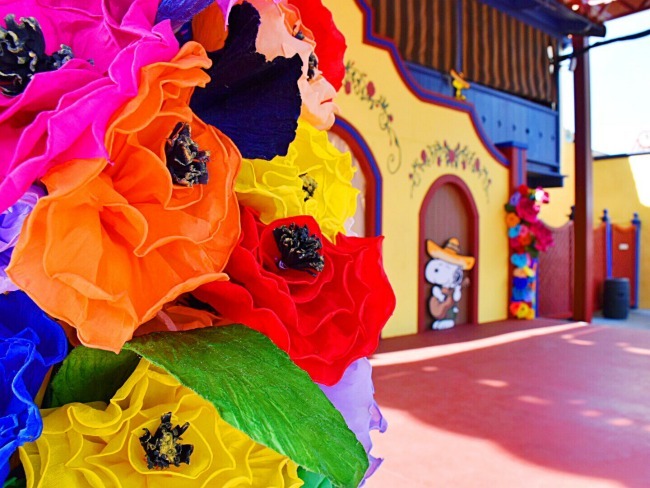 Lucy and Sally’s Fiesta Fantasy will bring lively music, traditional costumes and live performances to the Fiesta Village stage. 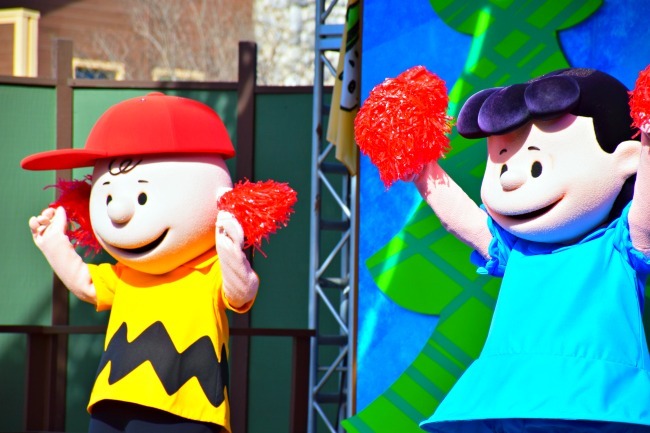 The Knott’s PEANUTS Celebration keeps going strong at night with Woodstock’s Musical Festival. 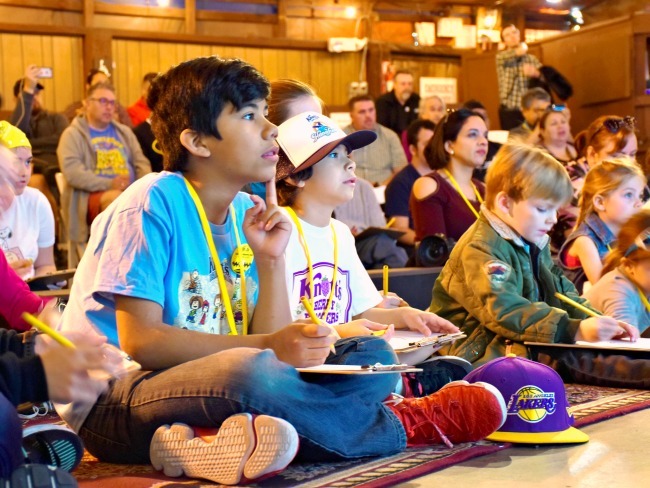 The stage transforms into a musical extravaganza with a show featuring the PEANUTS gang and a family-friendly indie band The Jelly of the Month Club. It’s a great way to wrap up the night (and maybe tire out the chiclets before going home). 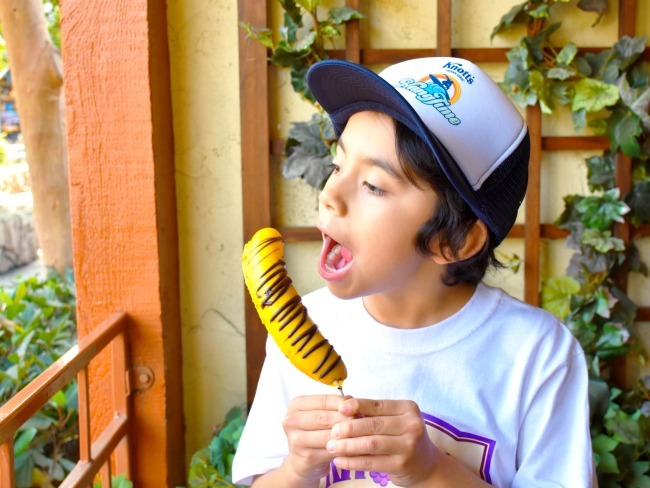 One other “must do” during the Knott’s PEANUTS Celebration is to try as many special treats as you can!!! The awesome culinary team at Knott’s Berry Farm has put out a list of treats offered during this time. 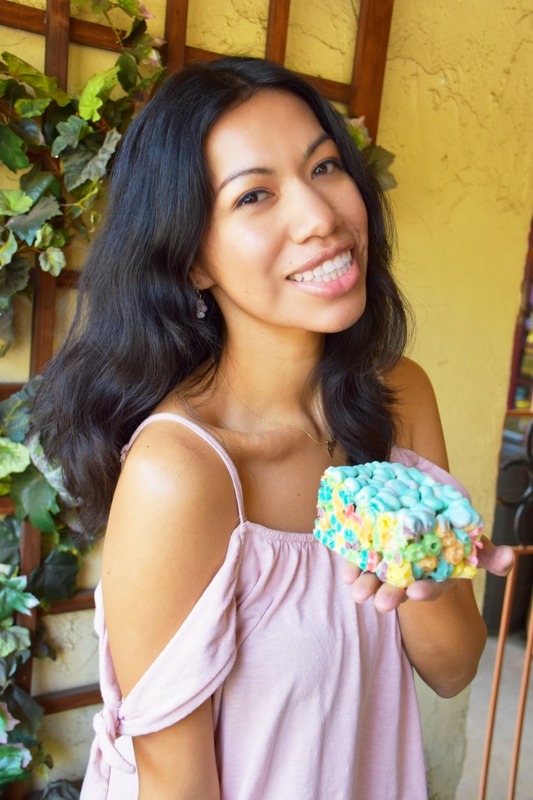 My chiclets love the frozen banana and the Fruit Loops crisp bar is my personal fave! 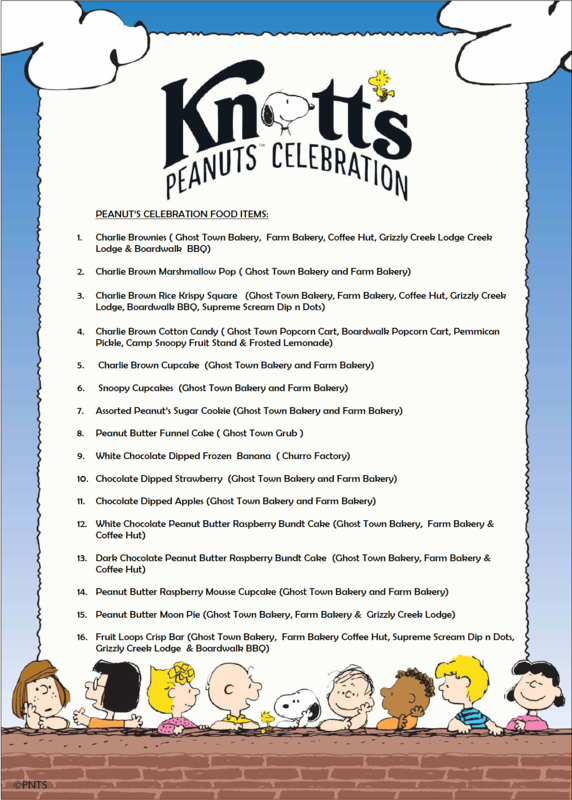 Click for the full Knott’s PEANUTS Celebration food guide. p.s. 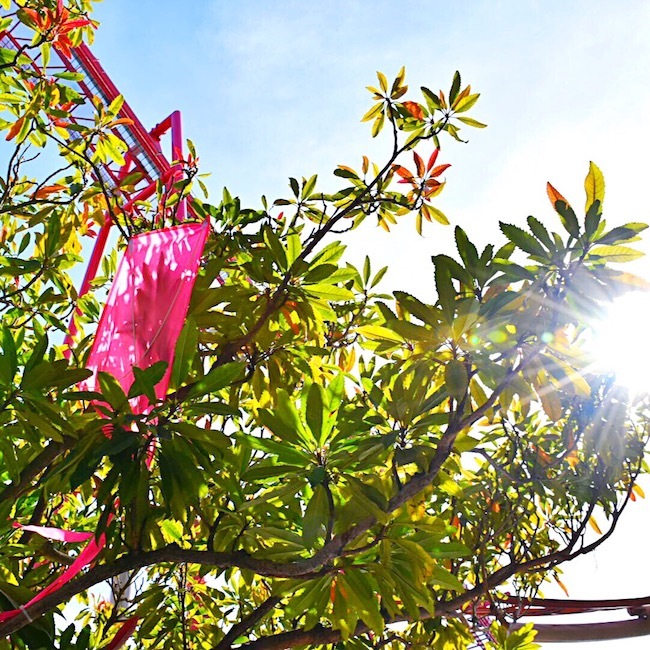 Don’t forget to look up as you walk throughout the park – you might see a kite (or two) stuck up in the kite-eating trees… AND keep an eye out for the PEANUTS characters riding the trolley around the park. They’re soooo cute! 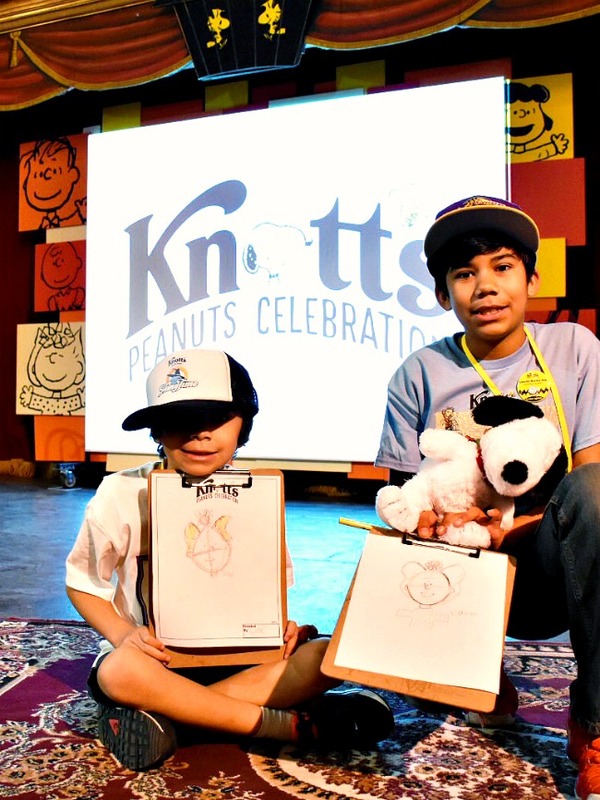 The Knott’s PEANUTS Celebration will take place weekends in January and February, plus Presidents’ Day. Admission is included with a regular park admission ticket or a with a Knott’s Season Pass. 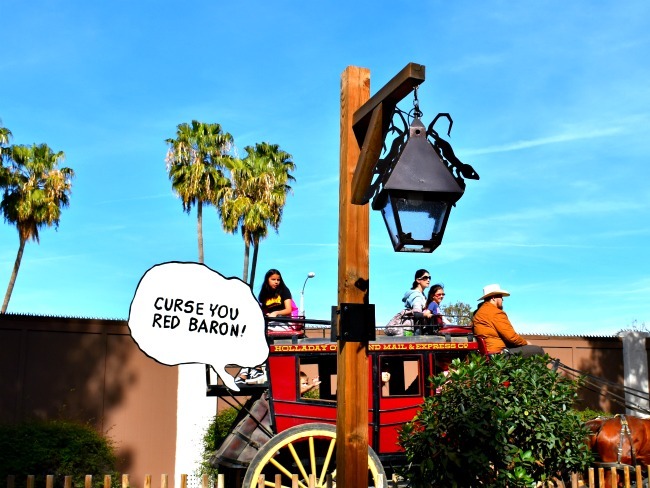 For more information, visit the Knott’s website, and please share your photos online using the hashtag #KnottsPEANUTScelebration. See you there!!! p.s. Don’t forget to add FunPix to your season pass!!! 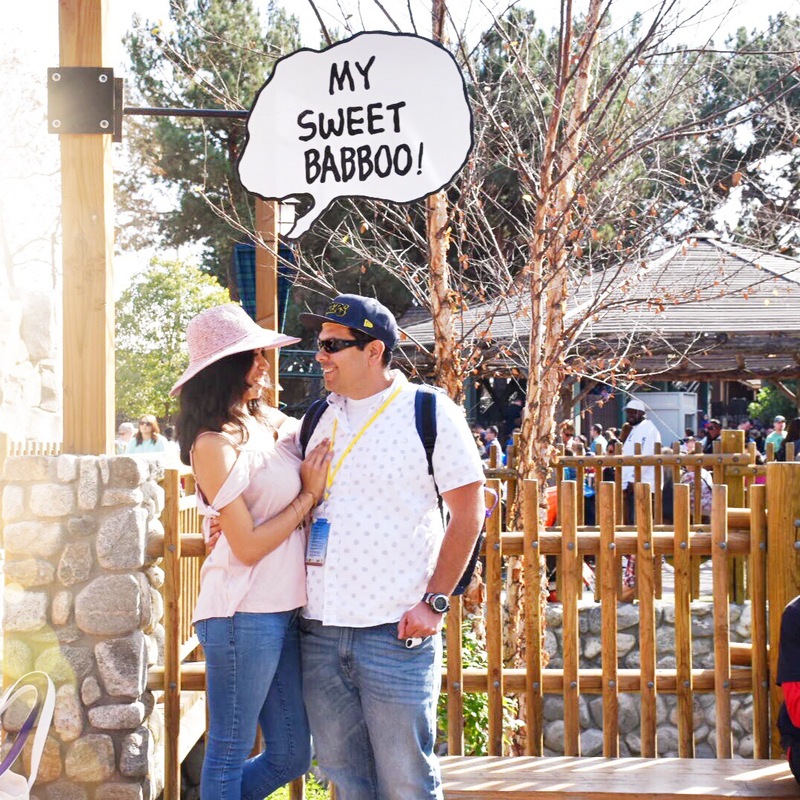 You’ll get UNLIMITED photos by Knott’s photographers with the cute Knott’s frame. 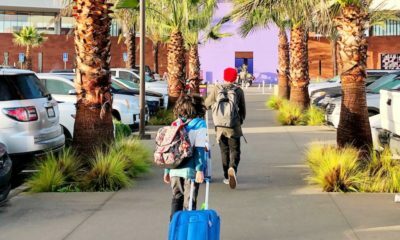 Knott’s Berry Farm Hotel – our first choice because it’s literally within the resort. Your hotel stay also includes parking and if you book the Snoop room, Snoopy himself tucks you in (plus, you get two Snoopy plushies). Courtyard by Marriott Anaheim – within walking distance to Knott’s Berry Farm (only half a mile away). Hotel stay includes free self-parking. Fairfield Inn & Suites Anaheim Buena Park – one mile away from Knott’s Berry Farm. Hotel stay includes breakfast and free self-parking. 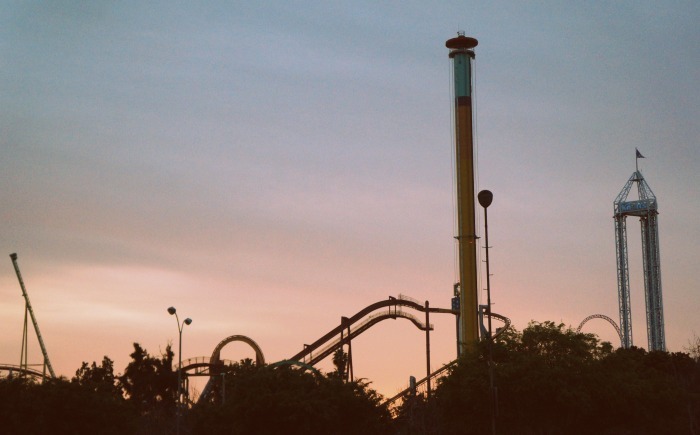 Goldstar offers discounted Knott’s Berry Farm tickets and discounted Knott’s Soak City tickets. Groupon offers discounted Knott’s Berry Farm tickets. 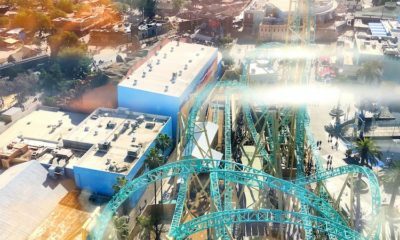 Travelocity offers discounted Knott’s Berry Farm tickets and discounted Knott’s Soak City tickets. Buy your Knott’s Berry Farm season pass before the year is over to get the best deals! NOTE: Prices increase throughout the year. 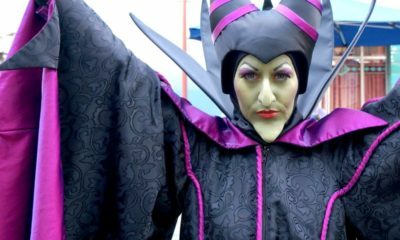 Visit Knotts.com for updated pricing.